Get access to the World of Music for free. Discover new Trending music and Top Charts perfectly categorized by genres. 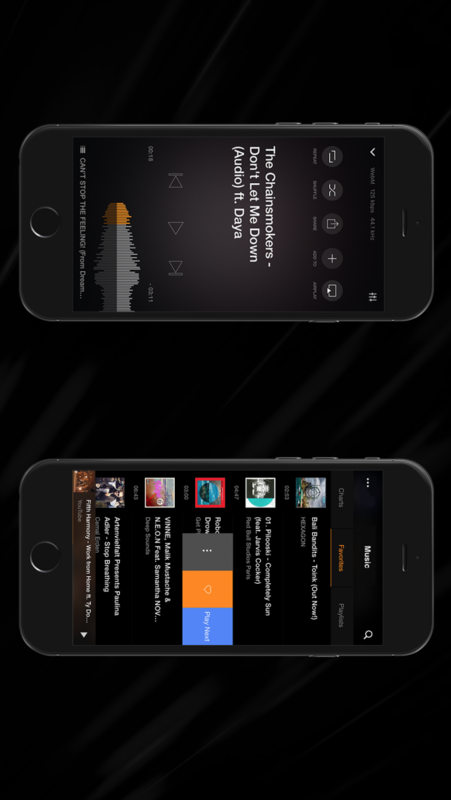 Search any song and play it with no audio ads for free on your iPhone. Millions of songs, DJ sets, and live concerts perfectly categorized by genres. Enhanced equalizer with BassBooster provides a premium sound quality. Create and manage your streaming playlists. Stream Music on your audio speakers with AirPlay. VOX Free Music allows to listen to millions of songs for free with the perfect design. It's the most advanced app for streaming music for free due to the EQ&PRO audio settings. Music gets better with our own audio engine.